After a two year search for a Project Management solution, specialty gas pioneer manufacturer and supplier Matheson Tri-Gas finally found what they were looking for in Tracker Suite. Matheson, founded in 1927, was the first company to reliably supply specialty gases and equipment. Matheson Tri-Gas is now a part of the world’s fifth largest supplier of gases and gas handling equipment, Tokyo based Taiyo Nippon Sanso Corporation. Matheson found Tracker Suite after a search for Outlook Project Management. 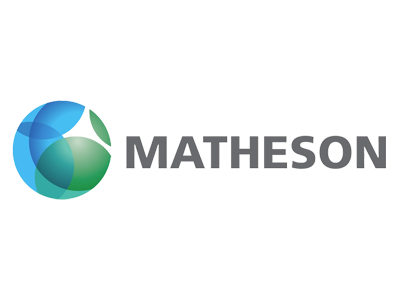 Matheson selected Tracker Suite as their solution, after pilot results with other software options were unsatisfactory and unsuccessful. Integration with Outlook was of primary importance. Before Tracker Suite, their projects were managed with a variety of applications. They used Outlook; MS Project; Sharepoint, and several different Excel spreadsheets and forms to track time and purchases. Tracker Suite is currently being used to manage manufacturing facilities projects, such as design and construction. Another requirement was the flexibility to manage information for their current Project Charter Document. The Project Tracker module allows for easy configuration with adding other required fields and attributes, where fields can be added or removed and re-labeled. This flexibility meant that Project Tracker could match the requirements in the Matheson Project Charter Document.